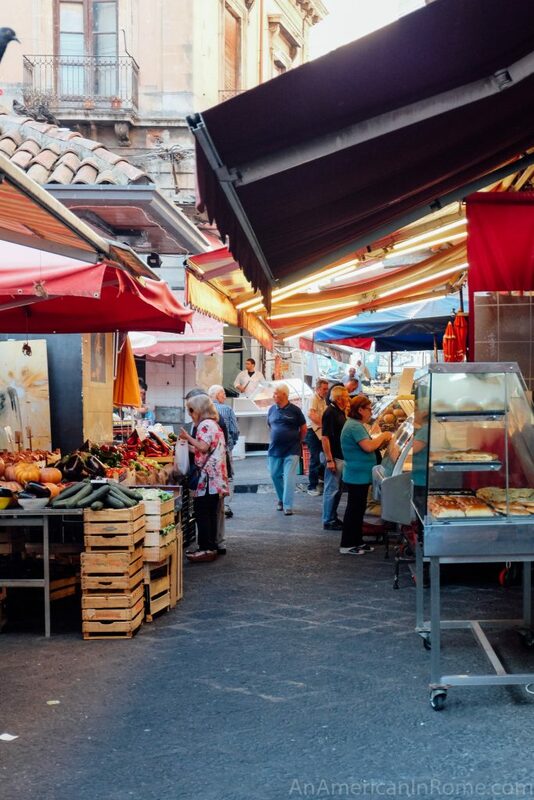 From Monday through Saturday, the streets near Catania’s Duomo are transformed into a loud and fast-paced market. 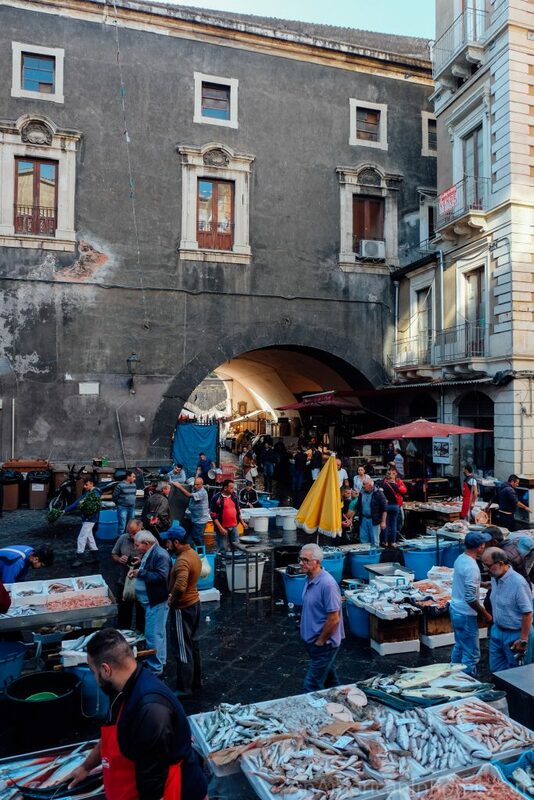 The Catania fish market is located in the heart of the city – and the smell and sound of the fresh catch being hawked from various collapsable stands have become iconic. 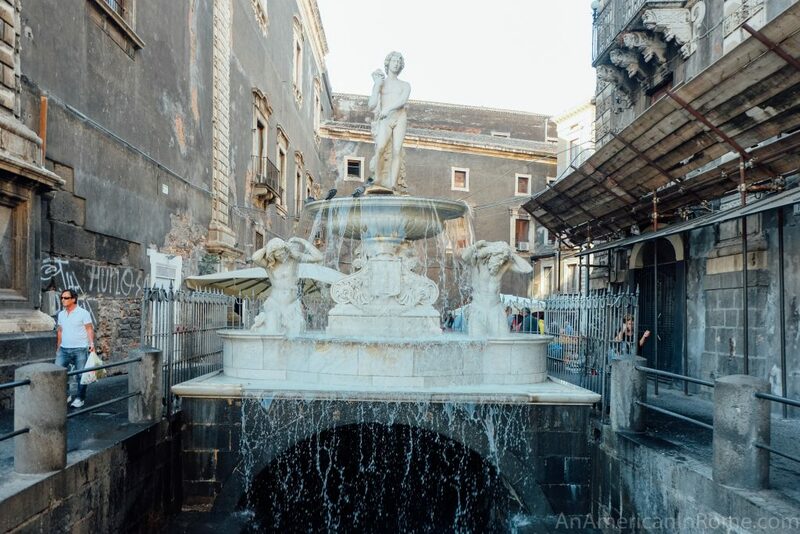 The entrance to the Catania fish market (known as a pescheria in Italian) is just behind the Baroque Amenano Fountain. 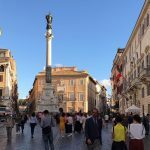 The fountain was created to adorn the market square in the 1800s, but it actually takes its name from the Amenano river that used to run on the same spot. 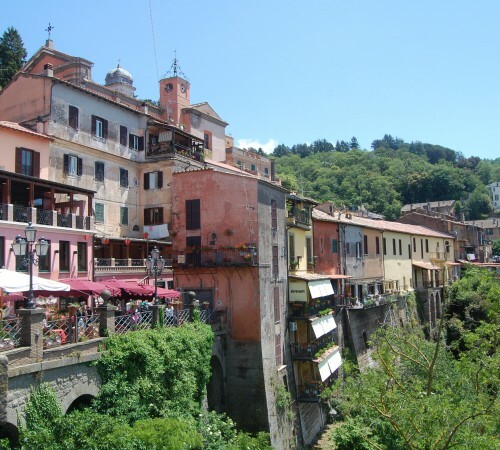 The river was buried in 1669 during a devastating Etna eruption. 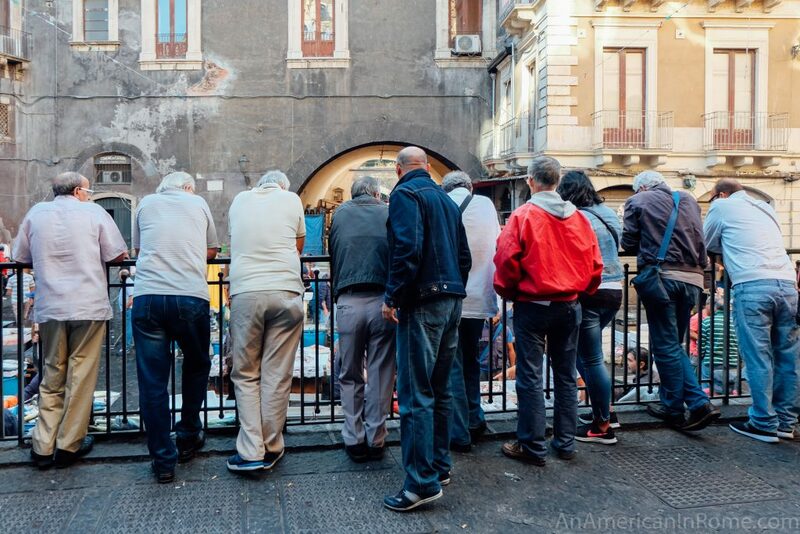 One of my favorite things about the Catania fish market is not just the activity of the pescheria itself, but the crowd that it attracts. Really all this is doing is observing the people watchers who come to observe the bustle (and maybe decide what to purchase). But they are a handsome crowd, no? 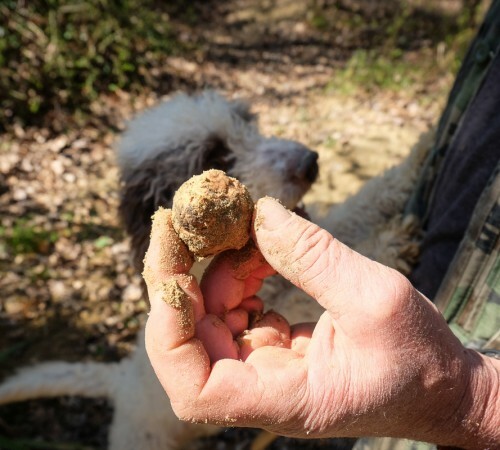 It is easy to see what they are riveted by if you can find a spot at the railing yourself. 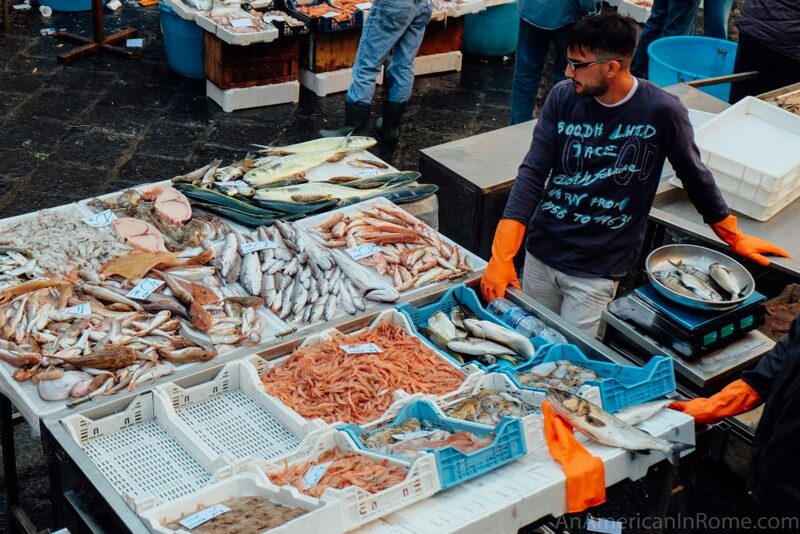 Fishmongers yell out prices and haggle with customers over the seafood bounty. Giant swordfish heads points skywards, with their own pink cuts displayed next to their menacing snouts. But man cannot live on fish alone, so there are also other market stalls located on the level above the fishy hubbub. 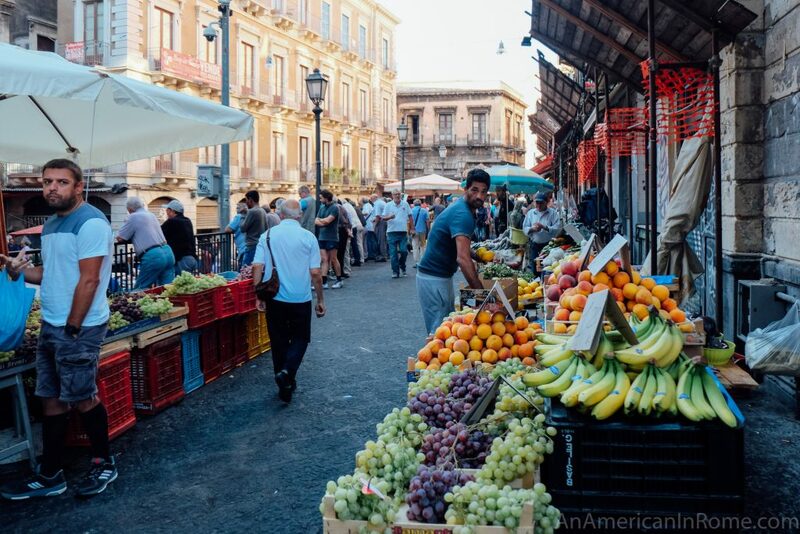 Decidedly more low key, there are butchers, cheesemongers and fruit and vegetable sellers to round out the offerings, but the star of the show remains the Catania fish market. 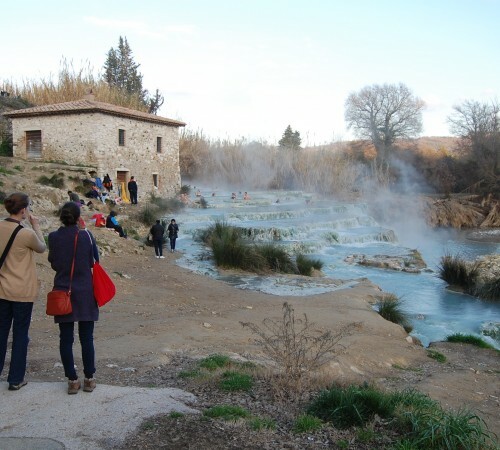 It is open every weekday morning, and certainly worth a gander the next time you find yourself in the Sicilian city. Want to stay nearby? Here are the best hotels in the area. Behind Piazza del Duomo and continuing down Via Pardo, Catania. 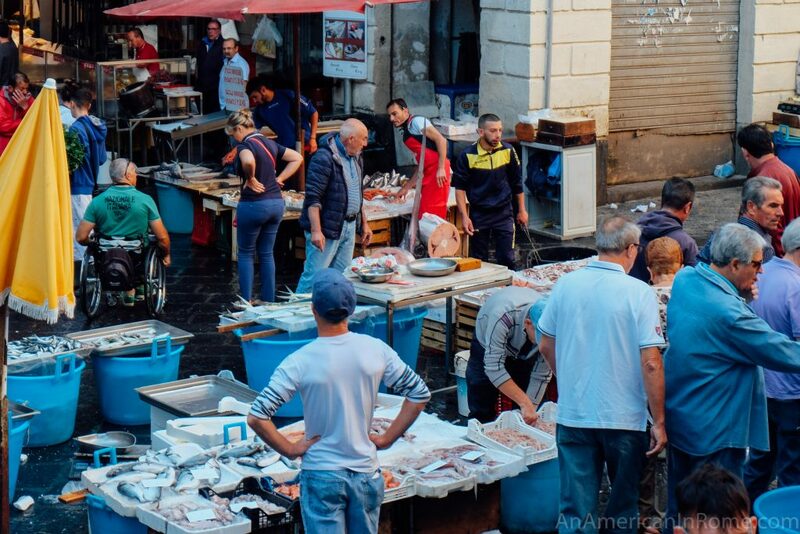 The Catania fish market is open Monday through Saturday from about 7:30 am to around 12 pm, though some stalls begin to shut down before noon. The market is closed Sunday. It is free to visit the fish market, though you are more than welcome to make a seafood purchase if you like. There are also nearby street food stands that sell fried fish. I am doing a research project about Venice and its landmarks, my history teacher said that the market was not open on Monday. But your article said it was open every weekday morning. Just wanted to clarify this information. I think that is true in Venice at the Rialto market, but this fish market in Sicily (Catania) is normally open on Mondays. 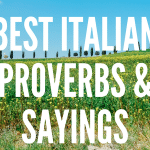 It is true in general that Monday is sometimes not the best time to buy fish in Italy because not all fishermen go out on Sundays so it might not be the freshest catch.